Probably one of the most frequent questions I receive is what to have for lunch. Lunch can be challenging because we usually want something that is quick and easy, especially if we are trying to take something to have at work. 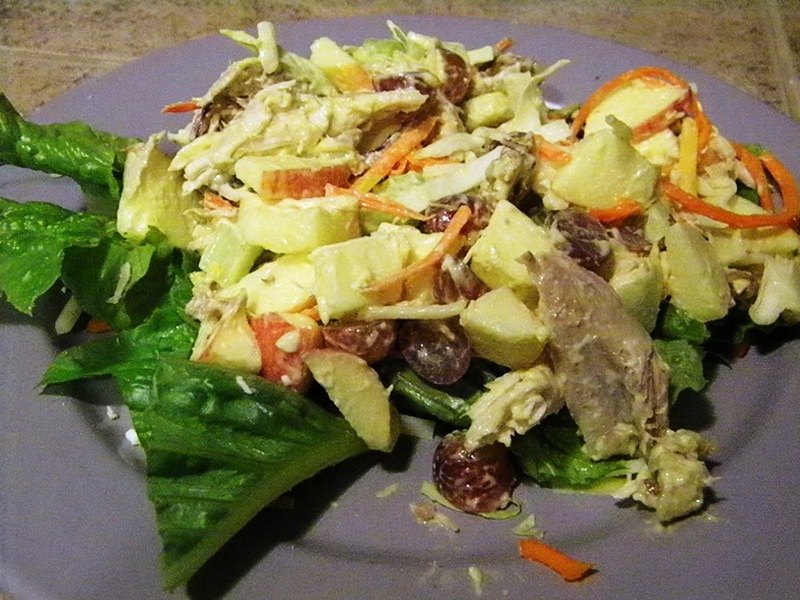 Typically I have a basic salad – lettuce, cheese, carrots, raisins, sliced almonds, and chicken or tuna with oil & vinegar. It’s fine but it gets a little boring. If I don’t have salad I either soup or leftovers from dinner the night before. Sometimes I cobble together, fruit, cheese, carrots and nuts – for something quick. Today I came up with this salad – it’s little something different from what I usually have, and I thought it was pretty good. This is perfect if you have a little bit of left over chicken that is not enough for a complete meal.